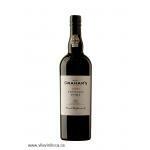 Graham's produces the Graham's The Tawny ($23.69), a fortified wine from Port that is based on tinta çao, port, tinta roriz, touriga nacional, touriga francesa and tinta barroca grapes and presents an alcohol content of 20%. Uvinum users evaluate this fortified wine with 4,3 out of 5 points. 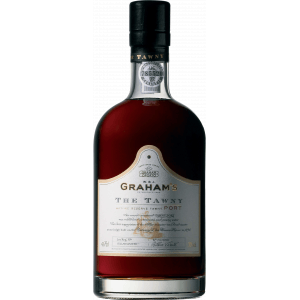 Graham's The Tawny is a very fine Tawny Port from W & J. Graham's. After aging for 7-9 years in big oak barrels it obtains its unique and special taste. In this bottle we find rest aromas of ripe berries and tannines with a structure that strongly reminds of the old wooden casks. - View: W.&j. 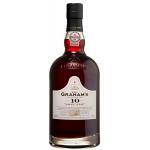 Graham's Porto the Tawny shows a reddish brown color. - Nose: Aromas of ripe fruit nicely balanced with a hint of nuts. - Mouth: The palate is a bit dry, elegant and velvety. PAIRING: preferably served cold with nuts or creamy desserts. - A deep amber-gold color and a rich flavor with a long aftertaste. Simply a super tasty port. Powerful taste of wild berries. They make good wine at Port. The best of Graham's for drinking in good company. Deep colour at first sight. Taste of blackberries and wild fruits. Nice aromas of blackberries in this Port. A red fairly astringent. 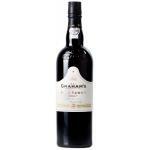 If you want to buy Graham's The Tawny, at Uvinum you will find the best prices for Port fortified wine. Purchase it at Uvinum at the best price, comfortable from your couch and with all the guarantees. We have more than 59.000 products for sale in our catalog which vaults us to the top of the mountain in selling wine, beer, and spirits in Europe with over 38.000 clients trusting us.